Transfer files from a 1GB Mac Disk ( by Iomega). The client just did not have the hardware to extract the files. The disc was from the late 1990s — the last of their floppy disks that needed converted to new files. They wanted to access and save the files on them for their archives - and mostly contained a few early web projects from art school. The files were readable, and the disk was in fine condition, and was transferred to CD and Dropbox. The customer presently worked on a Mac OS 10.11.2. If you need a Transfer Jaz Disk files service, then contact our friendly company. 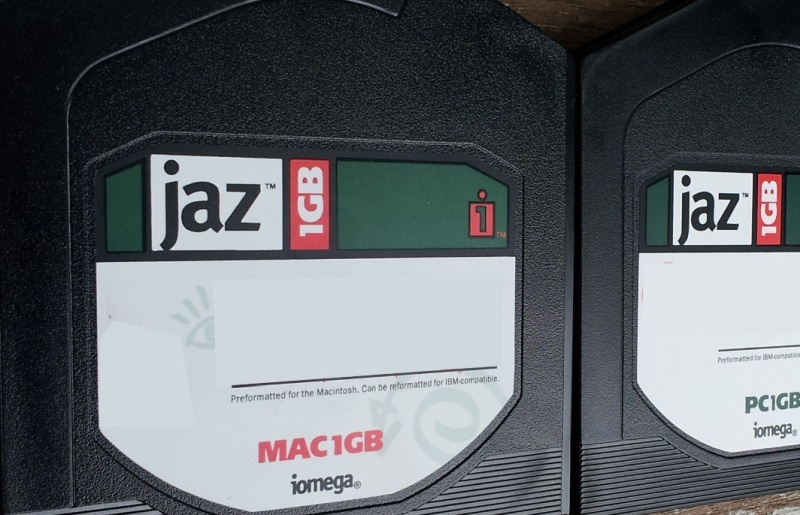 Transfer files from a 1GB Mac Disk ( by Iomega). The client just did not have the hardware to extract the files. The disc was from the late 1990s — the last of their floppy disks that needed converted to new files. They wanted to access and save the files on them for their archives - and mostly contained a few early web projects from art school. The files were readable, and the disk was in fine condition, and was transferred to CD and Dropbox. The customer presently worked on a Mac OS 10.11.2..